Good evening, and welcome back to Yankees baseball as the New York Yankees and the Toronto Blue Jays continue their three-game set with the middle game of their series. 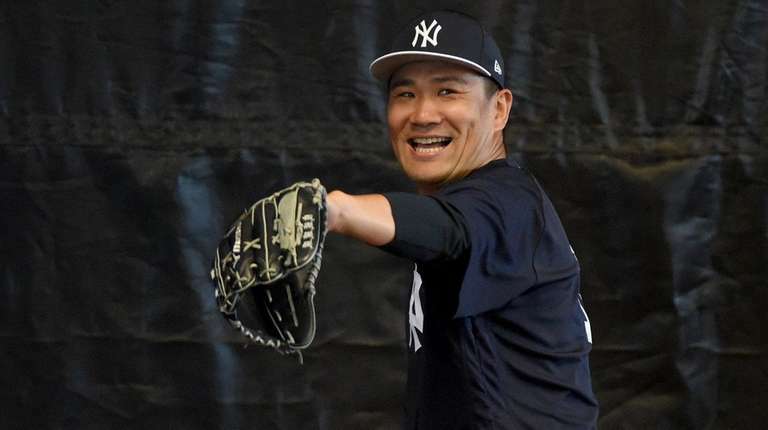 In the opener we watched as Luis Severino and JA Happ attempted to keep the opposing offense down from the other team and tonight we are treated with the pitching matchup of Masahiro Tanaka taking the ball for the Yankees against Aaron Sanchez of the Blue Jays. The game will be played at 7:07 pm ET inside the Rogers Centre, eh, and can be seen on the YES Network and MLB Network. You can also follow along with the game by using MLB TV, the MLB.com app or by tuning into the Yankees radio broadcast on WFAN with John Sterling and Suzyn Waldman. Follow us on Twitter, @GreedyStripes, and “Like” us on Facebook, The Greedy Pinstripes, to keep up with, interact with and to talk Yankees baseball all season long. Enjoy the game and Go Yankees! !